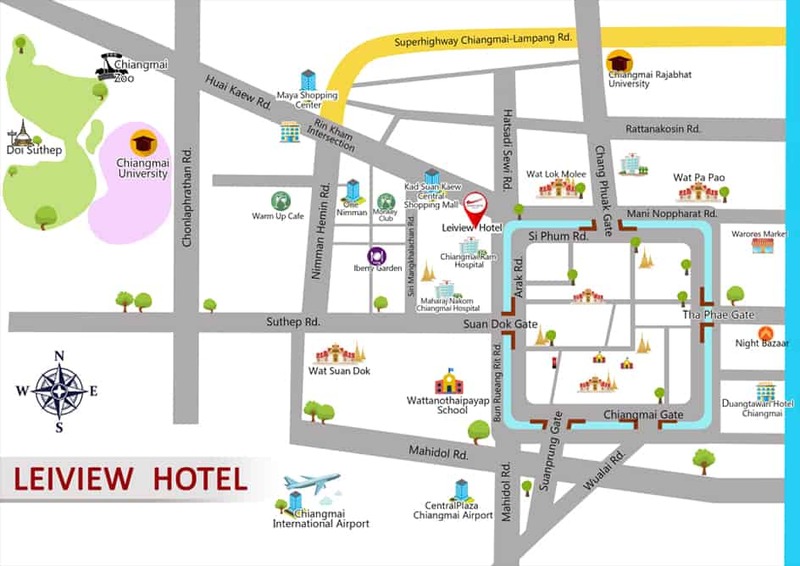 Leiview Hotel Chiang Mai is the data controller when customer provide information to us. All this information is stored securely with restricted access and handled with the greatest respect for your privacy. And this information only be used for voluntary purpose, Hotel Name will obtain your consent and you can tell us not to be use your information and we will not to do so. There may be situations where we need to use your information to comply with legal obligations such as It is required by law to keep records of who is in our hotels in case there is an emergency and security safety reason. We intend of use your personal information (your name, address, telephone number, e-mail and other contact details) to sent you marketing communication massage such as direct mail, e-news, telephone calls and SMS, offer, promotions, event to be offer by us or our business partners. We may not use your personal information for direct or e-marketing without your consent. If you do not allow us to use your personal information. You may opt out from receiving marketing communication at any time.